John Nash, the Nobel Prize-winning mathematician whose brilliance but troubled life plague by crippling mental illness was depicted in the Oscar-winning film A Beautiful Mind, was killed Saturday in a car crash in New Jersey. He was 86 years old. His wife, Alicia Nash, also died in the crash; she was 82 years old. According to NJ.com, John and Alicia Nash were fatally injured Saturday afternoon when the taxi cab they were riding in lost control and crashed into a guard rail on the New Jersey Turnpike. N.J. State Police Sgt. Gregory Williams said it appeared the couple were not wearing their seat belts at the time of the crash. 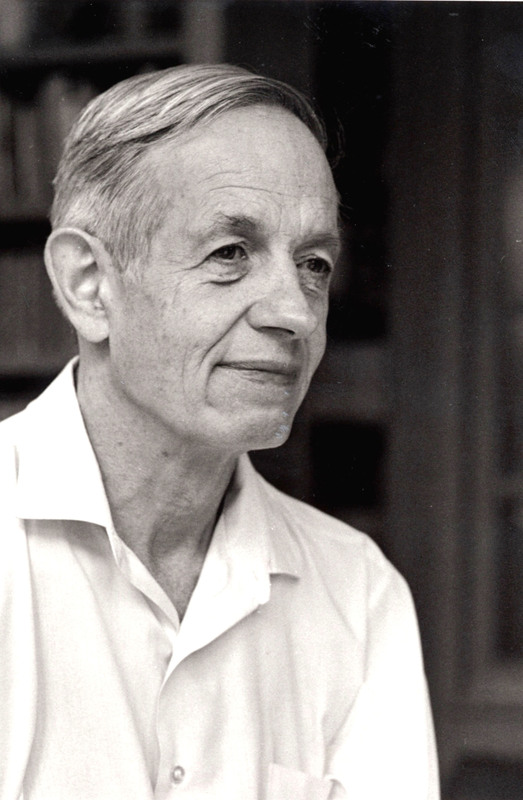 The Nashes lived in Princeton Junction, not far from Princeton University, where John Nash completed his graduate studies, taught, and performed his groundbreaking research in mathematics and economics. He spent a large part of his lauded career at Princeton University, and also worked and conducted research at Massachusetts Institute of Technology in Cambridge, Massachusetts. He was currently on faculty at Princeton's Department of Mathematics. A native of West Virginia, Nash accepted a fellowship from Princeton University to complete his graduate studies, earning a Ph.D. in 1950. He was known for his work in game theory — the mathematics of decision-making — including the Nash equilibrium, as well as his research in algebraic geometry. In 1994, Nash was awarded the Nobel Prize in Economic Sciences, considered the top prize in the field, for the paper he wrote in game theory as a graduate student at Princeton. Earlier this week, Nash traveled to Europe to accept the Abel Prize, which is a noted prize in mathematics, BBC News reports. The Norwegian Academy of Sciences and Letters said it decided to award the 2015 prize to Nash and fellow mathematician Louis Nirenberg “for striking and seminal contributions to the theory of nonlinear partial differential equations and its applications to geometric analysis." "Their breakthroughs have developed into versatile and robust techniques that have become essential tools for the study of nonlinear partial differential equations," the Abel committee said in a recent statement. "Their impact can be felt in all branches of the theory." Well-known in the mathematics and economic circles, Nash's work and life garnered national attention in 2001 upon the release of A Beautiful Mind, the Oscar-winning film that depicted Nash's early career and harrowing personal struggles with paranoid schizophrenia. His mental illness, which revealed itself while Nash was working at MIT, eventually interrupted his career. By the time he reached 30, Nash was plagued with hallucinations and delusions that dramatically blurred the line between reality and the fiction in his mind — to a point where his interior world eventually took over. Nash's illness grew so severe that Alicia had to commit him at the Trenton State Hospital in 1961, where he underwent insulin-coma therapy. However, the brilliant mathematician spent another decade or two with crippling paranoia, and would often be seen wandering around the Princeton campus in the 1970s, muttering to no one in particular and writing cryptic codes and equations on blackboards, students have said. Much of Nash's struggles with mental illness — and how it deteriorated his personal life and mathematics career for several decades — was revealed in A Beautiful Mind, which starred Russell Crowe as Nash and Jennifer Connelly as Alicia. Crowe tweeted on Sunday that he was "stunned" by the tragic news. "[M]y heart goes out to John & Alicia & family," Crowe wrote on Twitter. "Beautiful minds, beautiful hearts." After decades of enduring severe mental illness, Nash began to recover. In the 1990s, Princeton University invited him back as a member of the Department of Mathematics, and he has continued his work in mathematics since. He and Alicia have also become mental health advocates, especially after their son was also diagnosed with schizophrenia.